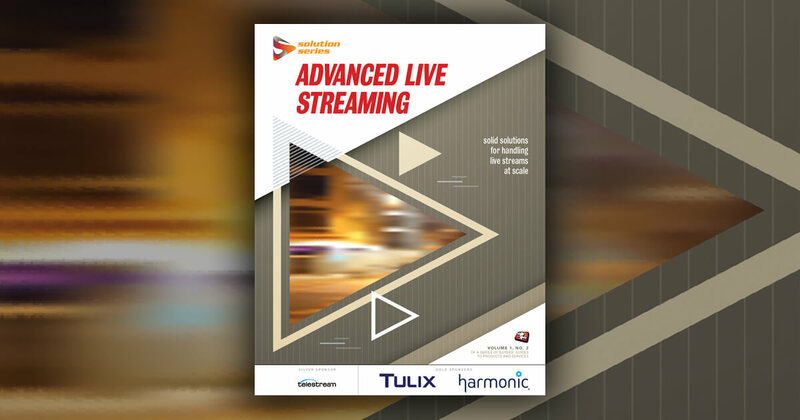 Telestream, the leading provider of video transcoding and workflow automation solutions, today announced a strategic partnership with BlackArrow intended to simplify the process for pay TV providers and broadcasters in Europe and other international markets to monetize video-on-demand (VOD) programming. The two companies are streamlining the technical and operational challenges of preparing VOD assets for Dynamic Ad Insertion (DAI). BlackArrow, a global provider of TV advertising and data solutions, enables pay TV providers and their broadcast partners to monetize content delivered to any screen and at any time. Recently, UK-based Virgin Media partnered with BlackArrow to expand their dynamic ad insertion capabilities and to enable broadcasters to capitalize on the growing popularity of on-demand and multi-screen TV. The company’s first commercial deployment was in 2009, and its customers also include leading operators Time Warner Cable, Comcast, Charter Communications, Bright House Networks, Rogers Communications, Liberty Global and Virgin Media. Announced earlier this year, Telestream’s VOD Producer DAI platform provides the critical function of preparing VOD assets and key metadata information, including ad break start and end points, which can be ingested into the BlackArrow Advanced Advertising System to enable pre-, post- and mid-roll VOD dynamic ad insertion. Telestream’s VOD Producer DAI platform provides a compelling way for content providers to properly prepare their content for VOD DAI. It prepares proper VOD assets and key metadata information, including ad break start and end points, which can be ingested into the BlackArrow Advanced Advertising System to enable VOD DAI. Broadcasters and content production networks benefit from this approach because they don’t have to use multiple tools, services and/or manual processes to prepare their VOD assets and the corresponding metadata. Identifying where ad breaks start and stop in a VOD asset was a particular issue because that often required a trip to the edit bay or similar manual process. The Telestream tool automates this and saves operational cycles in preparing the assets, freeing up new revenue opportunities for broadcasters as well. Historically, VOD advertising was limited to only pre-roll and post-roll ads. The majority of ad inventory, and ad dollars, on traditional programmatic episodic content (i.e., Primetime TV) came from mid-roll ads. However, identifying where to insert mid-roll ads in a VOD asset was challenging. Now, Telestream’s VOD Producer DAI automates this process and instructs BlackArrow exactly where mid-roll ads can be inserted. The BlackArrow Advanced Advertising system can then dynamically control how many ads get inserted in that break opportunity, which inventory owners get to insert ads, whether ads can be fast forwarded through and, of course, which ads get served. VOD Producer DAI - Telestream VOD Producer DAI enables advertising sales to present fresh, relevant, demographically targeted ads within on-demand content over existing cable infrastructure, significantly increasing revenue. The key to VOD Producer DAI is its ability to make the workflow much more hands-free and cost effective without requiring wholesale infrastructure replacement. Not only does it enable new ads to be inserted into VOD content, it also provides analytics and measurement tools that gauge the effectiveness of the ads for all stakeholders. BlackArrow Advanced Advertising System - The BlackArrow Advanced Advertising System is used by service providers worldwide to manage the technological complexities and business issues associated with monetizing video delivered to any screen at any time. Together, the BlackArrow products enable TV providers and their affiliate partners to monetize content over platforms such as Video on Demand (VOD), Linear IP ABR, network based personal video recorders (nDVR/nPVR), electronic programming guides (EPG), interactive TV (iTV), as well as other IP/online outlets. For more information about Vantage VOD Producer DAI, visit http://www.telestream.net/VOD-Producer-DAI/overview.htm. For more information about Telestream, visit www.telestream.net.